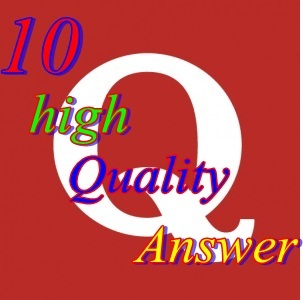 I will respond to 10 questions on Quora, promoting your website on its specific niche. I will search for questions relevant to your niche and I will respond to 10 questions on Quora including your website links in the response. If you have any questions, please ask me I will reply as soon as possible. Create 10 Quora Answers promotion backlinks is ranked 5 out of 5. Based on 9 user reviews.